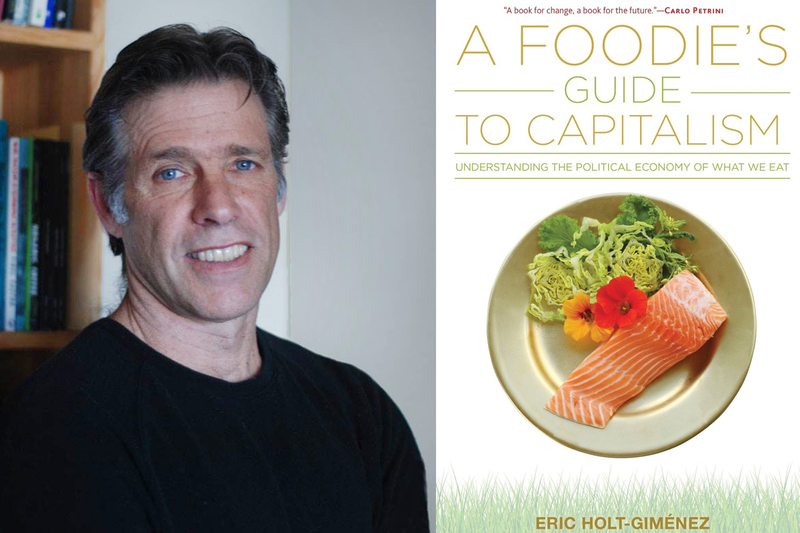 Food First founder Eric Holt-Giménez argues in his new book that real food system change requires a radical restructuring of the public sphere. Civil Eats spoke with Holt-Giménez recently about the book, the current food crisis, and the future of food activism. You’ve been working in food justice for decades. How did your vision for A Foodie’s Guide develop? I’ve been giving a lot of university lectures and participating in community dialogue over the last 10 years in North America, Latin America, and Europe. I realized that many food activists—mostly in the U.S.—had no analysis of the root causes of the problems they were dealing with. Many people were genuinely surprised when I pointed out that we had a capitalist food system, and that it was going to act the way capitalism acted. Basically, we get little to no training about how capitalism works while we are in school, and the system is so ubiquitous, it’s taken as the natural state of things. Until Occupy Wall Street, it was awkward to even mention the word capitalism. I could see that this lack of clarity was holding back the food movement, politically. So I decided to tell the story of how capitalism and our food system co-evolved. I also provide some very basic concepts in political economy (use and exchange value, surplus value, the agrarian question, socially necessary labor time, land rent, parity, etc.) and show how they can be used to understand why the food system does what it does. Why do we need this book now? Our food system is in crisis because capitalism is in crisis and is passing off the worst effects—or “externalities”—of the crisis onto society and the environment. Global warming, extreme inequality, the rise of fascism, the persistence of hunger, and the spread of diet-related diseases are all reflections of a profound systemic crisis. We can’t change the food system in isolation from the capitalist system because they are systemically and historically connected. Just as the food system is a major contributor of greenhouse gases, for example, agriculture is one of the sectors that suffers most from global warming. Time is running out. We need to ask what leverage the food system has to bring about the transformational changes we need in our society and the global economy. We will need powerful, allied social movements to bring about the political will for transformation. A clear idea of the systemic reality and a shared analysis is essential to bringing about the political convergence we need. You argue that food activists who think they can change the food system in isolation, without addressing the larger system of capitalism will be ineffective. But small-scale efforts are how so many activists conceive of their day-to-day work. Can you give examples of how we might address the larger system with small-scale projects? There are no magic small-scale projects that bring about whole-system transformation in and of themselves. 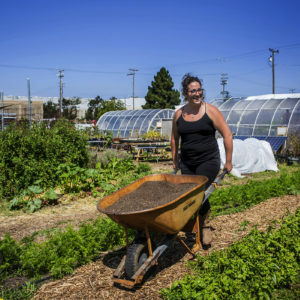 Community food activists need to keep on doing all the great work they do on the ground but they have to link this work politically to social movements for transformation. We have to rebuild both the commons and the public sphere. We need to get the practices and the politics right. Right now the global market makes our decisions for us—which just means the big corporations with the most market power will continue to put profits before people and before the environment. We need the concerted power of social movements to change that. Otherwise, we can be assured that whenever our hopeful alternatives really start working for us, they will be co-opted by capitalism. The recent decision by the U.S. [Department of Agriculture’s National Organic Standards Board] to recommend allowing [some] hydroponics [producers to continue receiving] organic certification is an example of this; industrial organics had been going down this road for a while. What do you see as the first steps activists can take to link their work politically to social change? We need to reconstruct both the public sphere—decimated after 30 years of neoliberalism—and need to recognize, repurpose, and grow the practice of “commoning” in the food system. The public sphere is that area of social interaction where debate and decisions are made regarding the economy, public services, the shared environment and daily life that are not simply determined by the priorities of “the market.” The public sphere for most of us has disappeared under the power of the global market and the bottom line that appear to be making the decisions regarding everything from the dominance of processed foods to global warming. I say “appear” because the corporate public sphere is alive and well. One finds it at the World Economic Forum in Davos, or in the World Bank, where the .01 percent bargain with the fate of world’s people and resources. So not any public sphere will do. We need to reconstruct a critical and radical public sphere in which values like equity and respect for the Earth guide the decision-making process of the majorities rather than one that ensures the financial interests of the elites. We see this happening in things as simple as local food policy councils and as complex as the global coalitions for climate justice. Another example of a critical (and radical) public sphere were the mobilizations at Standing Rock led by indigenous water protectors. Commoning refers to all those social interactions of collaboration that are determined by the moral economy rather than the market. Traditionally, these social interactions were actually grounded by a physical commons, like pasture, forests or fishing grounds that were governed by very strict rules of cooperation. But if we think about it, even the formal, capitalist market today functions in great part because we cooperate to make it work, without any financial remuneration. Commoning—as much or more as capital—makes the food system work. We need to repurpose our forms of cooperation to strengthen our communities and our social and political networks rather than the capitalist food system. This can also be as simple as a Community Supported Agriculture agreement between a service worker’s union and a local farmer’s guild, to something global like the movement-based fair trade markets. 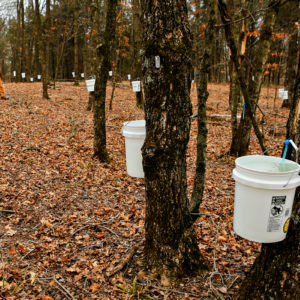 These kind of movement activities both protest against the current food regime and actively construct the alternative. The integration of activism with livelihoods is the key to successful social movements because it creates the sustained social pressure that produces political will—and that’s what creates social change. How can an average consumer help contribute to the transformation of the food system? It is important to eat according to one’s values—organic, fair trade, local, etc.—but conscious consumption—essentially a market-based approach to transforming capitalism—comes up short because sooner or later capitalism ends up absorbing these products into the system. Conscious consumption needs to be paired with activist citizenship to avoid being divested of its political power. You write that our food system was built on exploitation and oppression. How does this play out in 2017? 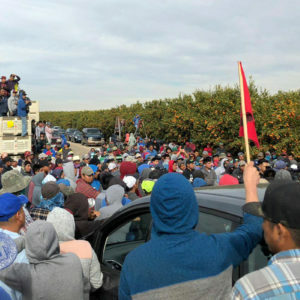 The people who are the hungriest, most food insecure, and most affected by diet-related disease in the world—including the United States—are food and farm workers. Most of these hungry people are women and people of color. During the 2008 food crisis, one to two more baby boys per 1,000 births died who would have otherwise lived. For girls, seven to eight baby girls per 1000 births died who otherwise would have lived. This seems to me to be ample evidence that the global food system—built on patriarchy, racism and class exploitation—has not changed its structures. Secretary of Agriculture Sonny Perdue is tightly invested in the industry he’s regulating. How do his priorities differ from your vision for the food system? Perdue wants to help monopoly agrifoods corporations squeeze profits out of farmers and consumers. Food is simply a means to that end. He isn’t “regulating” anything (unless it is criminalizing dissent or protecting CAFOs from public scrutiny). We can expect the further disappearance of mid-sized family farms and further corporate concentration of our food system under this administration, as well as the increased “financialization” of our farmland as farm mortgages are traded and sold on the global market. We can expect the further hollowing out of the U.S. heartland and a worsening of the social strife, food insecurity, and opioid addiction currently devastating the countryside. We need to break the corporate stranglehold on our food; put people back on the land, invest in rural communities and break up the big monopolies and stop speculating with our farmland and our food. What’s the biggest myth about food policy as it relates to the economy? The biggest myth is that hunger and food security are the result of food scarcity. We produce one and a half times more than enough food to feed every man, woman, and child on the planet. People go hungry because they are poor and don’t have enough money to buy the food being produced. Calls to “double food production” are half a century old. Instead of ending hunger they have indebted farmers who borrow money to buy newer, bigger, and more expensive inputs, only to see prices bottom out because of a glut of food on the market. It’s not scarcity but overproduction that is driving hunger and getting the agrifoods corporations and their shareholders very rich. Of the billion or so hungry people in the world, most are the poor farmers who actually produce 70 percent of the world’s food, but they can’t even afford to feed themselves. They don’t need expensive inputs, they need more land, access to water, and to health, education, and welfare services. "I realized that many food activists—mostly in the U.S.—had no analysis of the root causes of the problems they were dealing with." I do not agree with this statement at all. As an agricultural attorney and food activist according to the terminology used by Mr. Gimenez, my mentors who have been fighting against capitalism within Black agriculture at land grant institutions like Tuskegee University my amateur are completely oblivious to the connection is insulting. The connection is nothing new but part of the old system of prejudice that many of my mentors have been battling against for 40 to 50 years. Also what I have been working to combat for the past 12 years. Generalities like Mr. Gimenez does not add to how hard my mentor and I continue to work towards day in and day out. F.A.R.M.S. Founder, a nonprofit that provides legal and retail market services to small farmers of color in the Southeast. There are fewer people living in absolute poverty in the world than ever in human history. There are more people with reliable access to basic nutrition than ever before in human history. All because of free markets. It’s shocking that in 2017 that there are people who still think socialism is desirable or viable. There is a third way. Capitalism is no longer an option, not sustainable., communism is not an option either. PROUT is the only way out. Read the book After Capitalism by Dada Mahesvaranda, available on Amazon. Thank you for your comment. By comparing rich capitalist countries with poor non-capitalist, socialist or mixed economies, mainstream development discourse invites us to believe that capitalism is not only unproblematic, but has saved billions from hunger and poverty when all other systems have failed Try comparing Cuba's health, hunger and nutrition statistics with Central America (or with Mississippi for that matter) and capitalism ceases to look so good. That there are more people being fed today than ever before is true, simply because we have more people. There are more hungry than ever before as well. In fact, the proportions of hungry to fed have not changed in a half century (1/7), because the proportional levels of poverty have not changed. What's more, the only reason the world even came close to meeting the recent Millennium Development Goals for hunger and poverty is because of the tremendous advances in China. You can read about this in our Backgrounder "What the FAO Isn't Telling You" on the Food First website. This was true back in the 1970's as well. You can read about this in World Hunger 12 Myths by Frances Moore Lappe and Joe Collins (on our website). I invite you to read the book--and study the history of our capitalist food regime. As Frances Moore Lappe says, hunger is not a myth, but our myths about hunger keep us from ending it, even when we have all the means to do so. I totally agree. Food is so basic, a human right, and should be organic, affordable, locally grown as much as possible and in the hands of food co-ops. Get rid of the middle man. There is enough food grown to feed the orld. Let start to distribute it properly. So no one need to go hungry or be malnourished. Educate people to eat real food and take care of their health. What we need is a organization/system that gives extra funding to enterprises and people that do things that make the world a better place as determined by jury style funding panels and mostly funded by its own investment and business partnership funds (that way it can remain independent of politics and budget cuts). The additional funding can be for anything including installing solar panels to a restaurant owner who feeds the homeless to a company that switches to electric vehicles or a farmer that practices regenerative farming or a medical clinic that serves low income families or a vet clinic that helps injured wildlife or a affordable living eco village and everything else that makes the world better. If we give extra funding for making the world better than people will give it maximum effort in order to receive maximum funding which will enable them to do even more good.